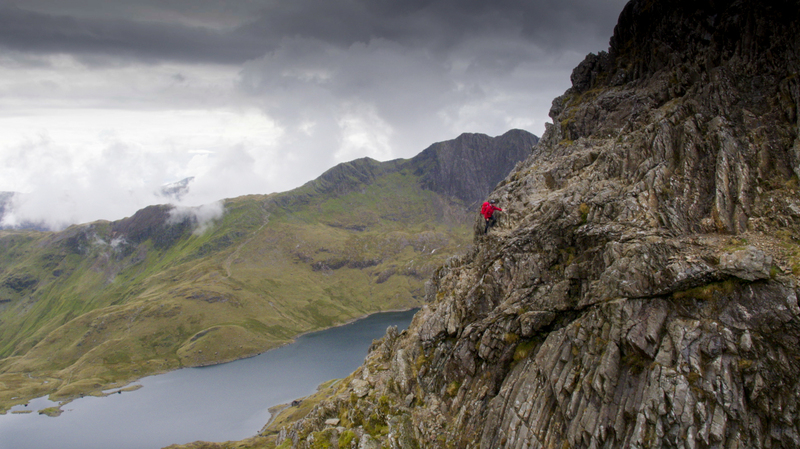 I was out filming on Crib Goch, Snowdon yesterday for ITV Wales‘ BAFTA Nominated program – Coast & Country. Regular readers of the blog will know that I team up with presenter Andrew Price on a fairly regular basis and we go out and have a mountain adventure together. I take care of the cameras and the audio and he does the talking. Together we make a good team and we were chatting yesterday that there can’t be too many people out there capable of producing the type of thing we do, on a fairly small budget. 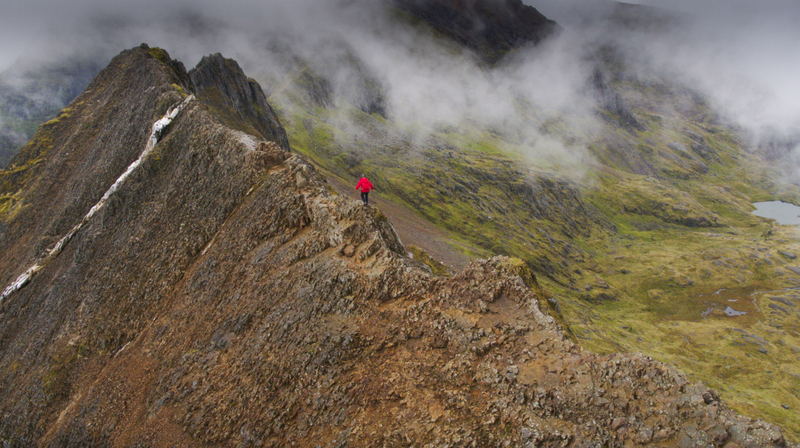 A single person crew and a single presenter is as streamlined as it gets really and that is ideal for serious mountain scramble routes like Crib Goch. 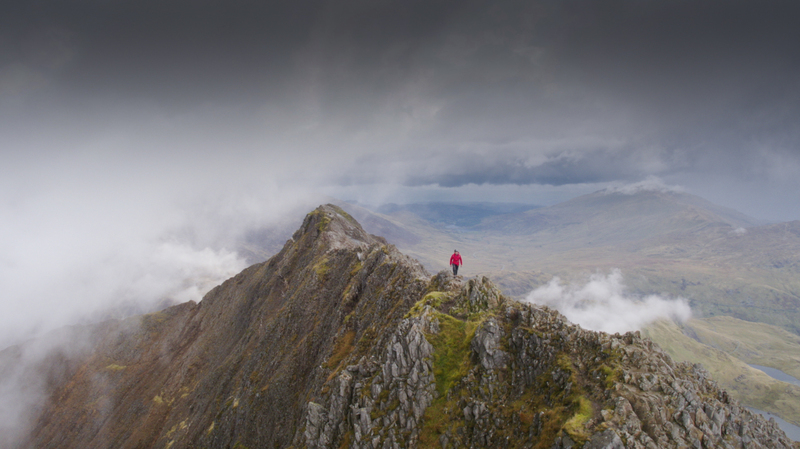 The ridge is a knife edge for most of its length and gives some amazing exposure which presents itself well on camera. 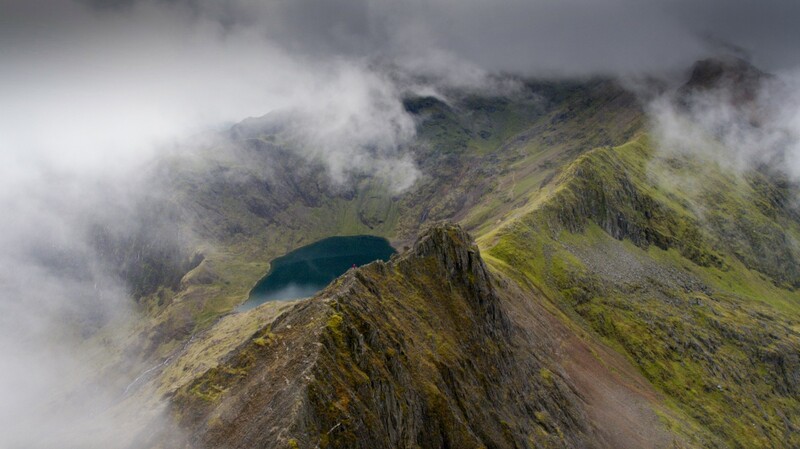 I am able to bring my qualifications as a Mountaineering Instructor, my experience of being on the local Mountain Rescue Team, my work as a cameraman and CAA Approved drone pilot and of course plenty of local knowledge. 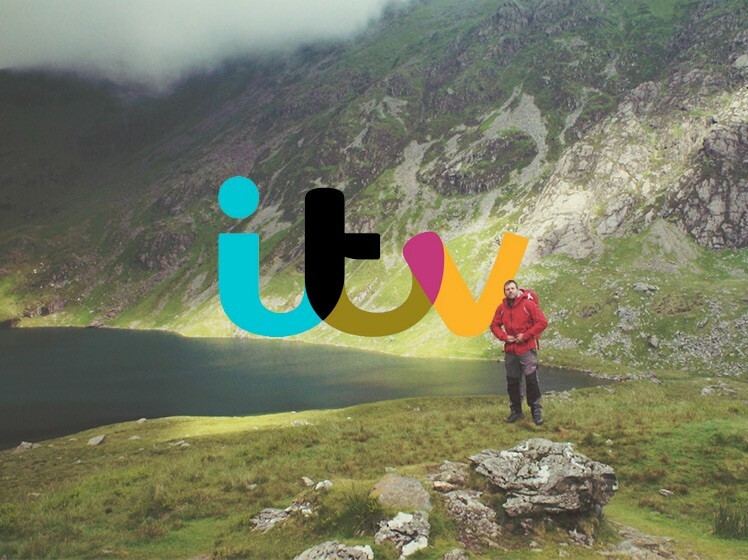 ITV Wales secured the permissions from the land owner and Andrew brings his own experience as a mountaineer and presenter. 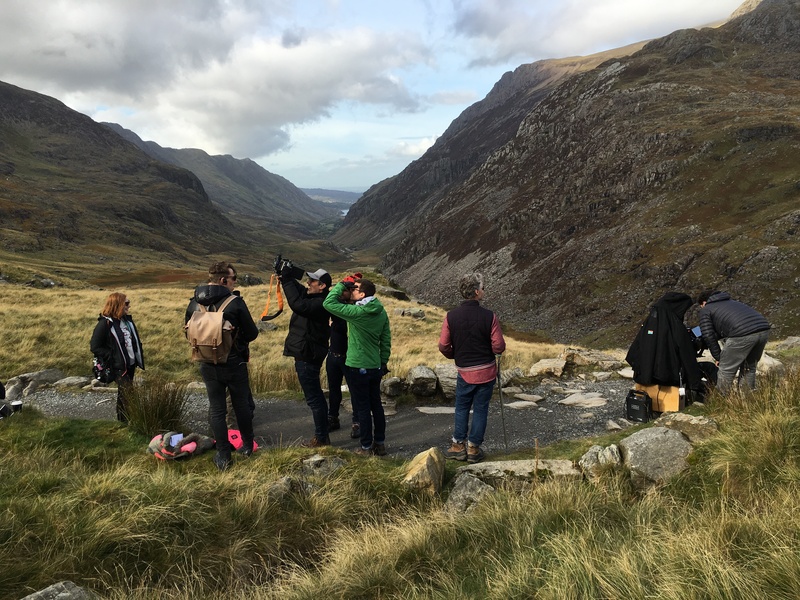 Yesterday we used my Sony FS5, GoPro Hero 5 and DJI Inspire 2 to put together a sequence that should “wow” viewers in Wales. 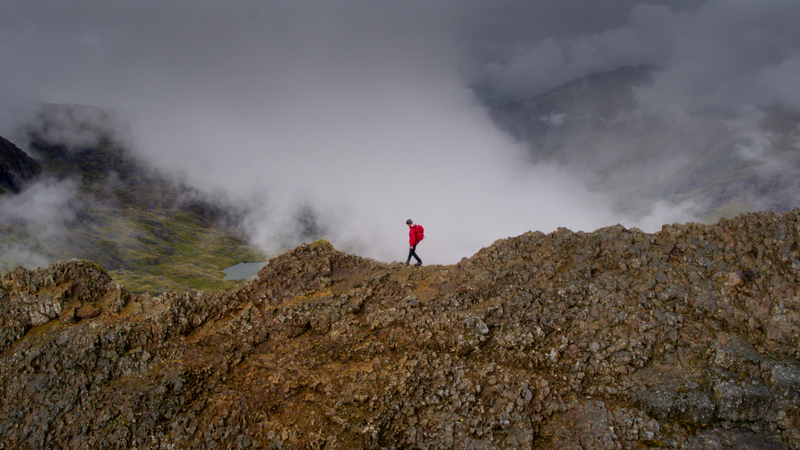 We had some pretty shocking weather and so patience was needed to get the shots between breaks in the clouds and to traverse the ridge safely in slimy conditions. Our luck ran out slightly as we reached the summit of Snowdon as visibility was reduced to about 5 meters and so we didn’t get the summit glory we had hoped for – even the cafe was closed! The program airs in 3 weeks and here are a couple of screen grabs to whet the appetite.